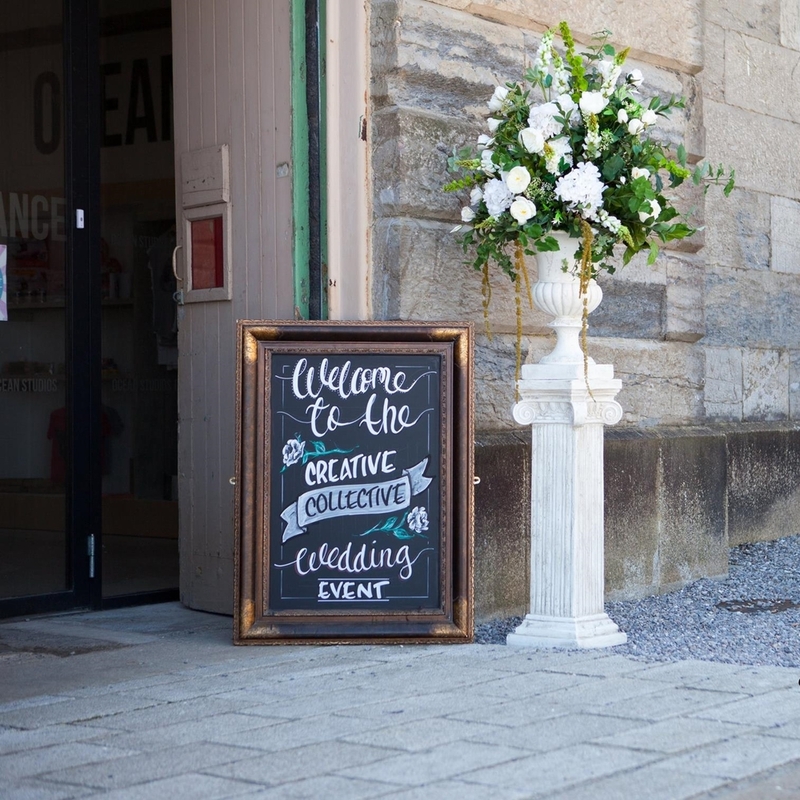 How has it already been a month since the Creative Collective Wedding Event at Ocean Studios? Beautiful quirky venue, a hand picked selection of creative suppliers and lots of lovely couples looking for something uniquely different for their wedding day! Walking around the venue it was so wonderful to see lots of interaction between exhibitors and visitors, lots of smiles and fantastic feedback. "Best wedding fayre we've been to"
"Very relaxed and friendly, no one has pounced on us"
"Really different style and lovely atmosphere"
These were just a few of the amazing comments I received when asking couples what they thought of our first event. My personal aim for collaborating with the team at Ocean Studios on the Creative Collective Wedding Event was to bring together and showcase the creative talent that is widely available on our doorstep but is just not shouted about enough...if at all! I honestly believe that every one should have a wedding day that reflects who they are as individuals and as a couple. A day that's personalised with details that are special just to them. Your wedding day should be yours and not the same as everybody else's. The awesome exhibitors at the CCWE are some of the most creative and individual people I've met within the industry. They provide something unique and are very keen to work with those couples who wish to explore the possibilities that the creative wedding world has to offer! Struggling to find the perfect dress? Maybe that's because it's not waiting for you hanging on a rail in a boutique but instead perhaps it's waiting to me made especially for you by a dress maker such as the talented Ailsa Munro! Don't want to get married in your local registry office, hotel or church like the three friends before you? What about a venue that's full of quirky urban character like Ocean Studios? Just can't decide if you should have a beautiful fresh flower bouquet or a non traditional alternative made from brooches, fabric, paper or even buttons? What about welcome drinks......Pretty sparkling cocktails with edible flowers sound good? Salty Rims Mobile Bar are fantastic...trust me I've had the pleasure of tasting a couple of their drinks! Inspiration is what it's all about! Sometimes we just go along with the rest because we're not aware of what else is on offer and we settle for OK because we don't know that OMG is available! Don't be a sheep, mix it up a little.....or a LOT! Let us help you create your perfect day! If you didn't make it along to our first event don't worry because we're already prepping for the next one on September 11th, which will be even bigger and better!